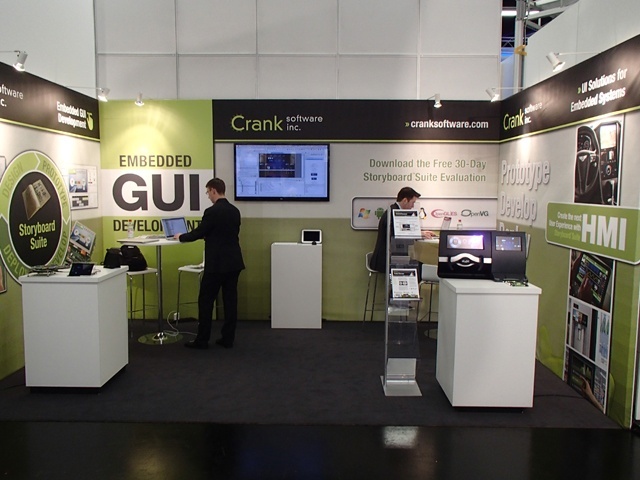 I never did follow up with pictures of our finished booth at Embedded World. Do I have a good reason for not doing so? What kind of wicked excuse can I come up with ... I was kidnapped by << insert something witty here>>. Unfortunately (not really) it was because we were busy. A good busy! We had a great number of familiar and new faces visit the booth. A number of people visiting the booth had already heard of Crank which is always great. We were able to demo Storyboard to individuals who had already evaluated the product and wanted some additional insight on how to do certain things. Existing customers stopped by to say hi and see what we were up to and get a feel of what was coming down the SB pipeline. 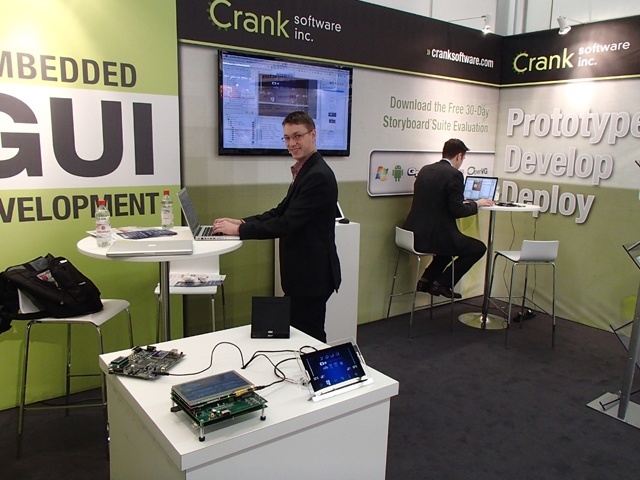 Last but definitely not least, all the folks that stopped by that had never heard of Crank software. It was great speaking to them about their existing UI solutions and their upcoming or existing projects where Storyboard might be a good fit. All in all, an awesome show! Here are some pics of our finished booth before the show doors opened. Jason (VP of Sales & Marketing) and Thomas (VP of R&D) gearing up for the day ahead.